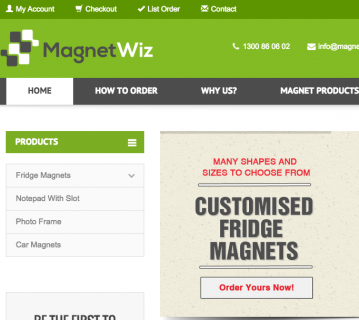 Well the obvious thing is to visit www.magnetwiz.com.au. Now that you are obviously here, you can move on. 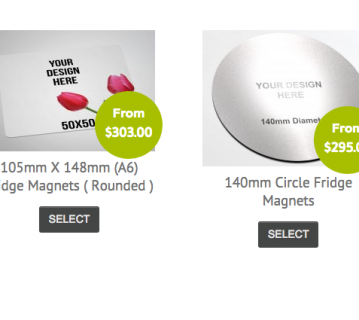 Choose from our huge and ever increasing range of fridge and car magnets ranging from square and circle fridge magnets to different shapes such as love hearts, vans and houses. Next, choose the size and shape that you need based on your budget. A couple of options here for you. If you have print ready artwork, feel free to click on the ‘Upload your files’ button. For those of you that don’t, click on the ‘Customize Now‘ button. This is where the real fun begins. 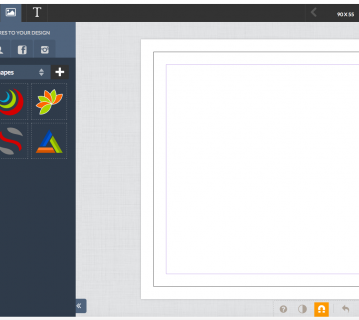 This will load our free, easy to use, design tool to create your very own masterpeice. This is our easy to use, and state of the art, design tool. On the left hand side you can add backgrounds, text, images and icons. The first step would be to upload your logo ( if there is a white background you will need to make it transparent, contact us to show you how ). Go ahead and start exploring! 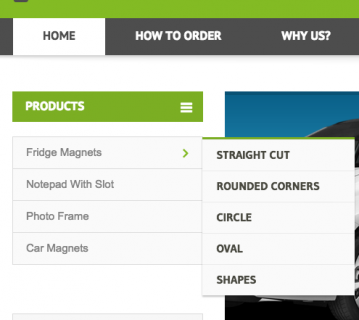 Click the ‘tick’ on the top right hand corner when finished to preview your design and go back to your product page. 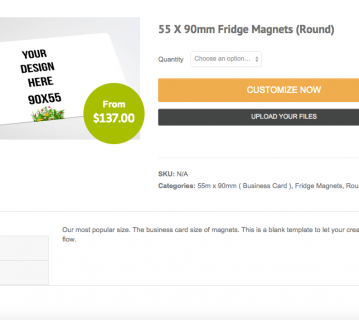 Back at the product page, choose the quantity required then ‘add to cart‘. Now simply follow the rest of the ordering process (very simple really ) and complete the order. 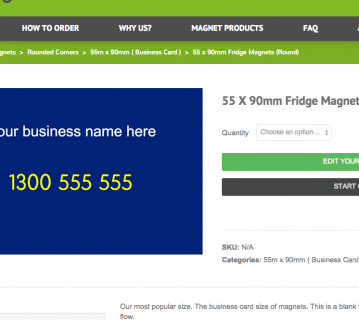 Within 5 – 7 working days you will receive your new magnets! So what are you waiting for, Start Designing!